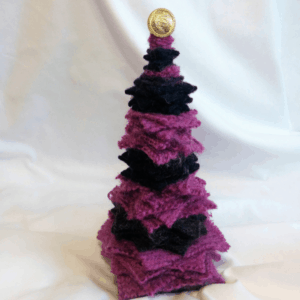 This one of a kind medium tree is upcycled out of a variety of green wool sweater pieces and stands at 10 inches tall and has a button topper specifically picked out for this tree. 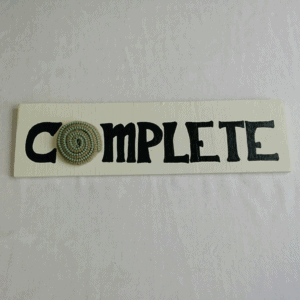 It is handmade by the participants and volunteers of Soup Of Success and will add warmth to your decor all winter long. 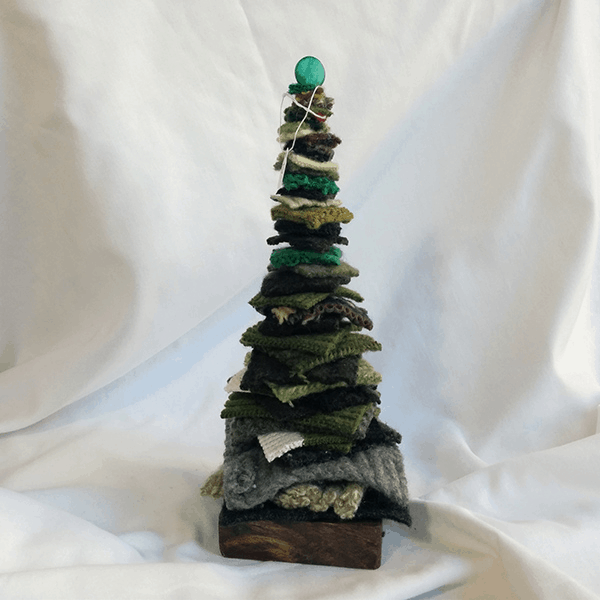 This one of a kind medium tree is upcycled out of a variety of green wool sweater pieces and stands at 10 inches tall and has a button topper specifically picked out for this tree. 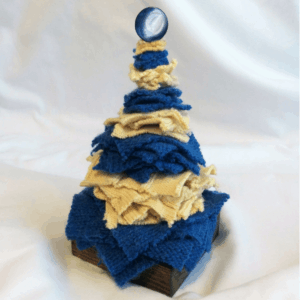 It is handmade by the participants and volunteers of Soup Of Success and will add warmth to your decor all winter long. 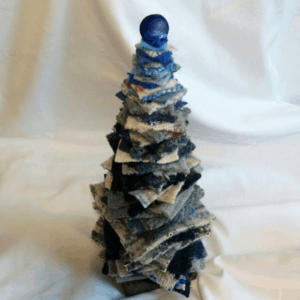 It is the perfect stand alone gift or pair it with a small and large tree for a charming trio. Customers have also used our trees as gift card holders! Proceeds are returned to the program to empower future women.